The phenomenal growth of crypotocurrencies over the past year has brought with it a groups of fraudsters and con artists, who are using social media to run misleading, and often fraudulent ads that are meant to lure unsuspecting victims into buying digital currencies with false promises and under false pretexts. With artificially inflated demand, the prices of cryptocurrencies skyrocket, giving these fraudsters the chance to cash out their own investments, leaving innocent victims fending for themselves with no idea if they’ll ever recover their hard-earned money. 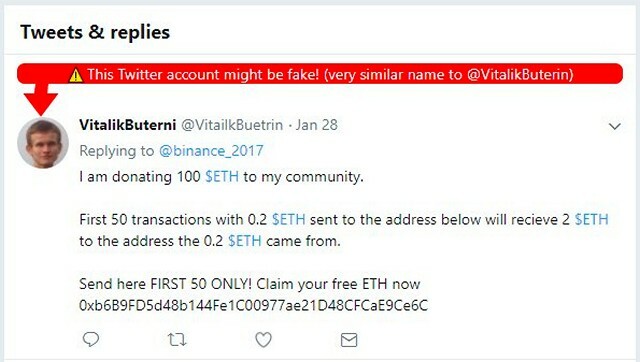 Funnily enough, Buterin says that there are at least 827 accounts on Twitter that are trying to impersonate him by altering his name “via a single addition, substitution, swap or deletion”. As can seen, however, his account is verified by Twitter’s blue checkmark, which is something users should always watch out for while determining if an account truly belongs to a public figure or not. 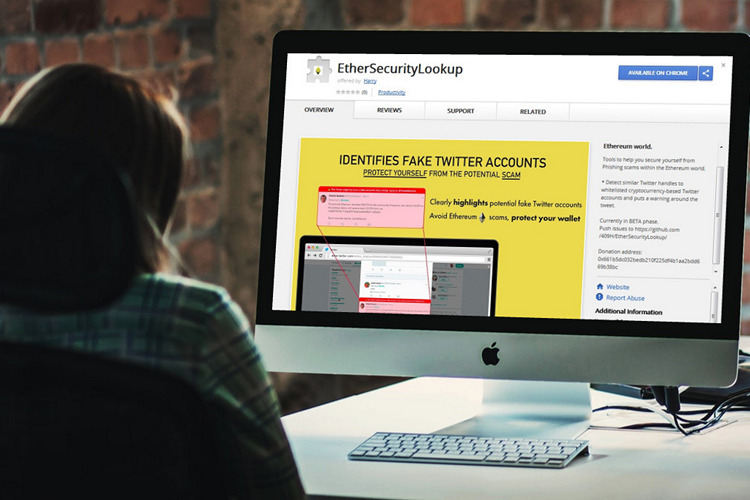 EtherSecurityLookup is already available for download from the Chrome Web Store, where it is officially being described as “a sister app to EtherAddressLookup, but security focused on helping prevent people falling victim to phishing scams within the Ethereum world”. In case you’re unaware, EtherAddressLookup is a Chrome extension that “tries to protect you from being phished by checking a domain blacklist that is constantly being updated”. Goes without saying, it’s also developed by Denley, and is pretty well loved by the Ethereum community. Denley, however, is yet to publish a Firefox version of his software, and it isn’t entirely clear if he has any plans to do so in the foreseeable future.